Acclaimed cinematographer Chad Terpstra makes directorial debut in sweeping, sentimental story of craftsmanship, tradition and family. Mirror Darkly today announces the world premiere of FATHER THE FLAME, a documentary about the legacy of the tobacco pipe, at the 54th Chicago International Film Festival (October 10-21, 2018). Chad Terpstra, a Michigan-based cinematographer, makes his feature directorial debut with this cinematic exploration of the tobacco pipe, long a symbol of contentment, through the window of its sacred origins and meticulous craftsmanship. FATHER THE FLAME screens Friday, October 12 at 6:30p and Sunday, October 14 at 11:30a at the Festival’s primary venue, AMC River North (322 E. Illinois St.). FATHER THE FLAME follows Lee Erck, a world-renowned pipe maker from far Northern Michigan, as he travels the globe to explore the nearly forgotten art of tobacco pipe making. Along the way is a charming cast of characters, including the “royal family of Danish pipemakers” and the patriarch who helped shape the industry; the Italian briar root cutter known as the world’s greatest source for the raw material used to make handcrafted pipes; and a fourth-generation Native American pipe maker who carries on his ancestors’ sacred traditions. 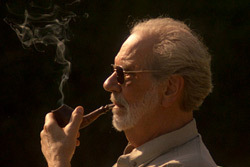 Ultimately the story of a slower pace of life, a luxury in our sped-up world, FATHER THE FLAME is a contemplative, hypnotic film that immerses the viewer in the cultural and spiritual significance of the tobacco pipe and what it can teach a modern generation about legacy and the things we leave behind. Terpstra, a director and cinematographer of independent and commercial films, has worked all over the world; his documentary work has screened at SXSW, Telluride, AFI Docs and Palm Springs film festivals. Together with wife Stellita Bouma Terpstra, a producer on FATHER THE FLAME , the two founded Mirror Darkly in 2011 to create meaningful and thought-provoking media that defies expectation. Mirror Darkly was formed in 2011 by husband and wife team Chad and Stellita Terpstra, with the goal of creating meaningful and thought-provoking media that defies expectation. With Chad bringing a background in cinematography and Stellita a background in law, they hope to foster an honest and independent voice for filmmakers looking to step off the beaten path. 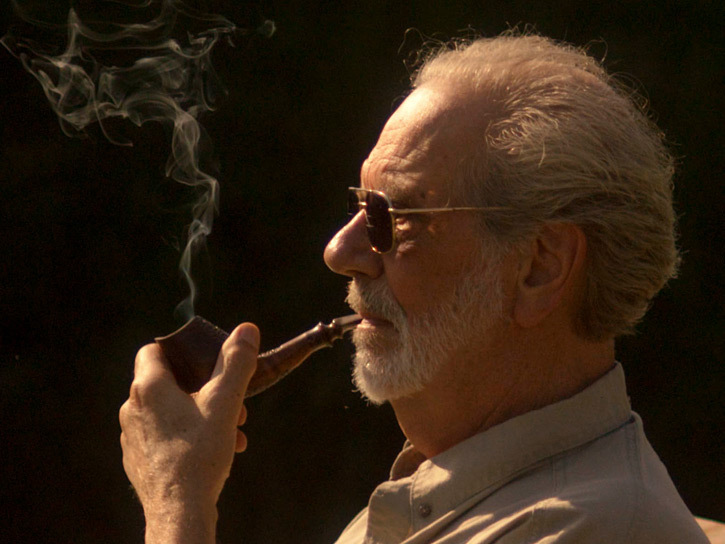 As their first endeavor, Father the Flame , fits perfectly in this category as a film that challenges the common conception of pipe smoking and uses the occasion to think deeper on life’s core questions. Can’t wait to get a copy on DVD.